... and Joy beetroot crackers dry ! "The Rarytas company of the all enterprises wish to be the most friendly for partners in our industry. This will distinguish us positively among competition." on official website the Rarytas Sp.z o.o. 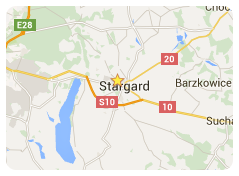 based in Stargard – manufacturer of baking products. Crackers, sandwich biscuits and biscuits.The company producing and selling its products constantly undertakes work related to modification our present products. We do our best to find new and innovative resolution which we would like to show our customers. We have worked in ISO standard 22000 since 2010. Moreover we pattented our new unique technology of baking crackers in 2015. The Rarytas Ace of Crackers!